According to the Occupational Safety and Health Administration, more than four million workers suffer work-related injuries every year in the U.S. Not all occupational injuries, however, are visible. In addition to physical injuries, such as a broken leg or strained back, employees in Illinois, and elsewhere, may also develop psychological injuries, including depression, anxiety and post-traumatic stress disorder, as a result of their employment. Under the Illinois Workers’ Compensation Act, workers’ psychological injuries may also be eligible for workers’ compensation benefits, including coverage of associated medical costs, mental and rehabilitative therapy, and disability pay. In order to be compensable, psychological injuries must fall under one of two categories – mental-physical or mental-mental. Mental-physical injuries are those that are related to, or caused by, a physical injury, such as worker who develops depression as the result of having suffered a debilitating back injury in a work accident. To be considered mental-mental, psychological injuries must be the result of a “sudden, severe emotional shock” that can be tied to a specific location, date, time and cause. For example, a store clerk who develops PTSD after a robbery in the workplace may be eligible for benefits. Following an accident in which she struck and killed a man while she was driving a bus for the Chicago Transit Authority, a 51-year-old woman claimed to suffer psychological injury. She reported feeling depressed and having trouble sleeping, in addition to having flashbacks to seeing the victim lying in the street. The woman was diagnosed by a clinical psychologist as having an adjustment disorder, depressed mood and mixed anxiety, all of which the physician indicated were the result of the shock of the accident. Despite that diagnosis and opinion, the woman’s former employer denied her benefits on the basis that she was not eligible because she had not sought treatment until two months after the accident. The Illinois Workers’ Compensation Commission found in favor of the worker, and awarded her benefits, a decision that was appealed by the Chicago Transit Authority. The Illinois appeals court affirmed the workers’ compensation award for the woman’s psychological injury, and, in doing so, possibly for future workers in similar cases. The court determined that, based on a previous ruling, the woman met all of the requirements to prove that her condition was brought on by the fatal accident. It also found that a case the employer had pointed to, as precedence that the woman had to prove the injury was immediately noticeable, did not apply because the situations were not similar. 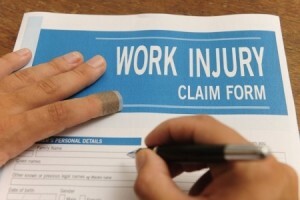 Claims for psychological injuries can be difficult to prove. People who have suffered a psychological injury on the job may find it of benefit to discuss their situation with an attorney to understand their rights and the responsibility of their employers.